This day course is for suitable for people with at least a basic understanding of karma, past and future lives and the root of suffering. We will explore the very root of suffering which is based on a misapprehension of our I me mine. Starting to antidote this root misapprehension starts the journey of disentangling us from samsara. There day will comprise, meditation, group work and presentation. There will be short breaks and we generally go to lunch together. 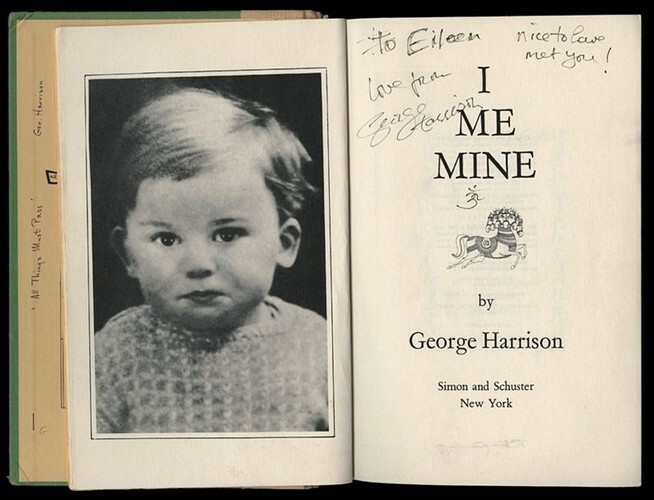 The song below by George Harrison exemplifies the issue. Hope to see you, Alan. All through the day I me mine, I me mine, I me mine. All through' the night I me mine, I me mine, I me mine. Now they're frightened of leaving it, ev'ryone's weaving it, coming on strong all the time, all through' the day I me mine. I-I-me-me mine, I-I-me-me mine, I-I-me-me mine, I-I-me-me mine. All I can hear I me mine, I me mine, I me mine. Even those tears I me mine, I me mine, I me mine. No-one's frightened of playing it ev'ryone's saying it, flowing more freely than wine, all through' the day I me mine. I-I-me-me mine, I-I-me-me mine, I-I-me-me mine, I-I-me-me mine. All I can hear I me mine, I me mine, I me mine. Even those tears I me mine, I me mine, I me mine. No-one's frightened of playing it ev'ryone's saying it, flowing more freely than wine, all through' your life I me mine.